The players coached by Albert Celades continue growing with their clubs at the end of the season. 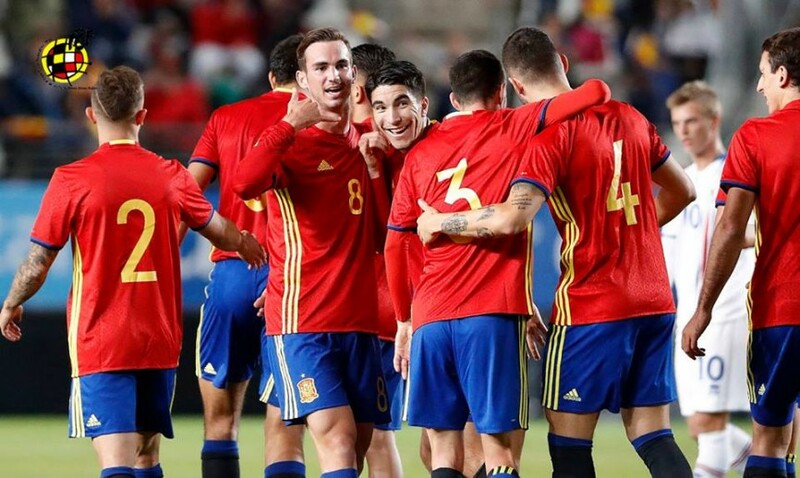 The weekend leaves behind a win, for instance, for Valencia's Carlos Soler and Toni Lato, both started with Valencia CF in the 0-1 against Girona CF. Pablo Maffeo was in the opponent's side. Villarreal counted with Pablo Fornals and Rodri Hernñandez in their line-up, in a 2-4 win over Deportivo de La Coruña. Borja Mayoral also took part in the win for his club, who played with Real Madrid CF in the 6-0 win against RC Celta de Vigo. Mikel Oyarzabal netted the opener for Real Sociedad de Fútbol against CD Leganés, 3-2. In the Seville derby, Fabían started for Real Betis. However, Unai Núñez and Íñigo Córdoba, who started for Athletic Club, in the 3-1 loss to Deportivo Alavés. Out of Spain, Jorge Meré started in the 4-1 Cologne win over Wolfsburg. In Second Division, Juan Soriano played for Sevilla Atlético against Gimnastic 1-0.